Delegating is challenging, especially when you’re used to doing everything on your own. Now that you’ve added a team member or two, it can be difficult to give up control and trust your team members to produce consistent results. What if she makes a mistake? What if he causes a delay? Will our customer be taken care of in the same way? As a result, you fall into micromanaging. I don’t think anyone wants to micromanage their team. We want to trust our team members to deliver results. But, it is challenging to do this when the value we create for our clients is at stake. So we micromanage, checking and double checking progress and trying to control the results. We become frustrated – and so do the members of our team. There’s a way to break this cycle. Today I’m sharing steps you can follow to get results proactively by creating systems you trust to help you manage profitably. Select and implement a management tool. If you’ve been in business for a while, you likely have a system for staying organized and managing projects. Maybe you use a tool such as Asana, Trello, and Evernote to keep yourself on track and working efficiently. Once you create the system, you can simply log in and view the progress being made on each task or project. 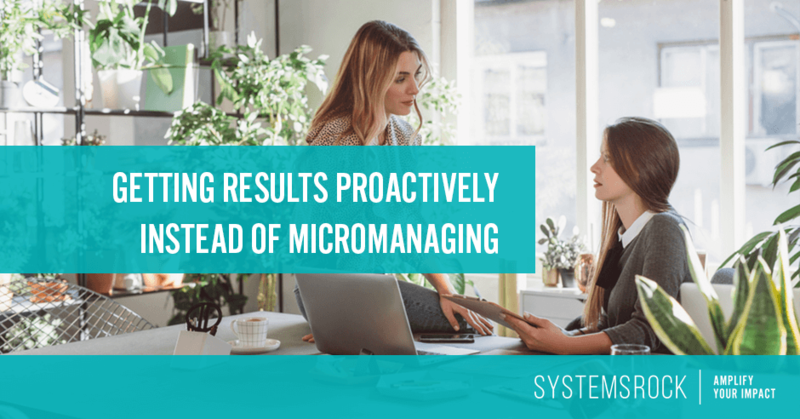 You won’t find yourself micromanaging your team members because you’ll be able to quickly evaluate their results. Designate a project manager or fill the project management role. When you work on your own, you naturally manage all the details of each project. Obvious, right? But when you work with others, it is easy for little details to slip through the cracks. That’s why you need a project manager. Project managers understand the end goal of each project and see the big picture. They also understand each little step that needs to happen during the project and who on the team is responsible for each of those steps. 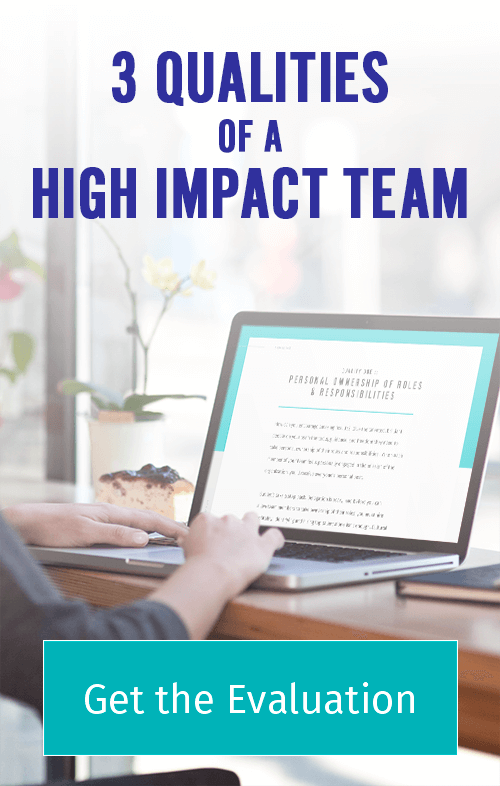 They coordinate communication within the team, help team members overcome obstacles and keep the entire project moving smoothly toward completion. You may have the ability to hire a project manager or give project management responsibilities to someone on your team. You may have an administrative assistant or business manager with the perfect project management skillset. If so, great! But if not, you’ll need to fill this role yourself. I recommend that you are intentional about project management and don’t just ignore this responsibility or assume “things will work out” without it. Proper project management (no matter who fills this role) will help you relax and feel confident about the work of your team. More importantly, proper project management will help each team member feel supported and give them the accountability they need to do their best work. Establish clear priorities for the team. How do you feel when you don’t know what to expect? When you’re not sure of the goals of a project or the needs of a client? It’s pretty difficult to relax and do your best work, isn’t it? When priorities are unclear – or when they change frequently – we can easily feel confused, unmotivated, and discouraged. I believe each member of your team (with few exceptions) wants to please you and deliver high-value work. That’s why you selected them, and that’s what both of you expect from your relationship. When you establish clear priorities, your team members know exactly what is required of them. They are able to confidently take action because they understand the goals and share your mission. When you set clear expectations, you proactively empower your people to deliver amazing results. When these expectations remain consistent over time, you help your people feel confident, motivated and committed to your mission. That’s when you get the best results! Allow your systems to manage your team’s workflow. One of the biggest challenges of managing profitably is getting your expertise, direction, and workflow out of your head and into the minds (and habits) of your team members. The wisdom you’ve gathered as you built your business on your own is priceless – and it’s exactly what your team needs to be successful. Micromanaging happens when we don’t trust our team to (1) do things independently or (2) do them OUR way. We step in and start trying to manage the outcome by managing every action our team member takes. As a result, we are exhausted and our valued team members are frustrated. When we manage each step of our team’s workflow, it’s a disaster! The solution is actually pretty simple. Use systems to manage workflows, and allow your team the freedom to work independently and efficiently. A simple checklist for invoicing or a set of email templates for customer service will give your team member freedom and autonomy while giving you confidence that things are being handled properly.